Outdoor kitchens are a great way to entertain guests and family, as well as transform your backyard into a dreamy getaway. 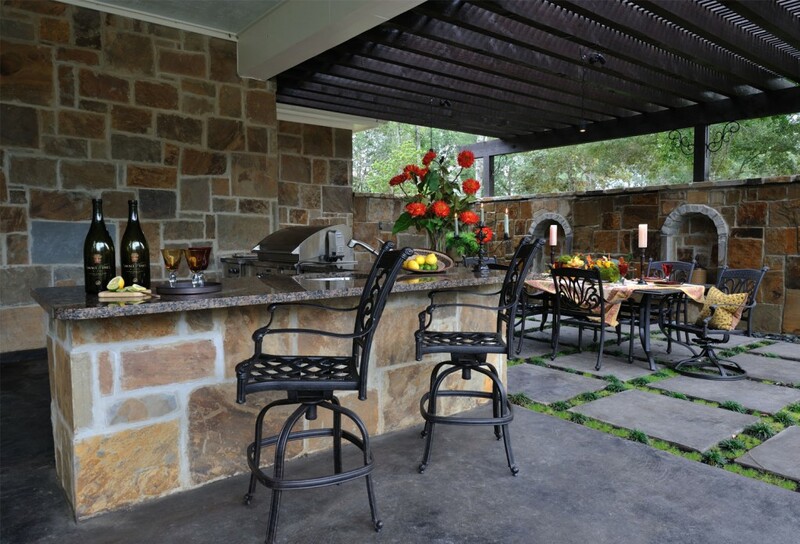 An outdoor kitchen can very easily become the main focal point of a backyard. There are many outdoor living ideas for outdoor kitchens. Pavers Driveways VA has some of the best outdoor landscaping designers in the Northern Virginia area to custom design your outdoor living space. 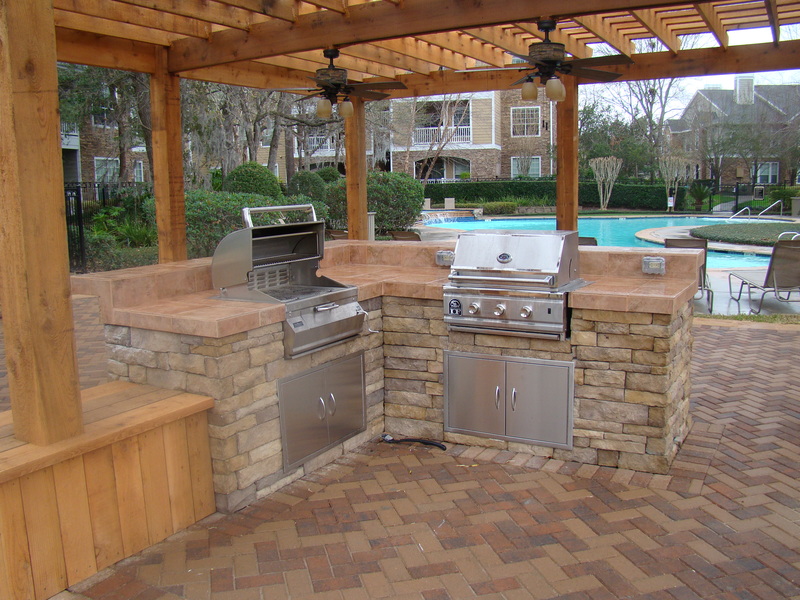 The homeowner must decide what appliances they want included in their outdoor kitchen such as a grill or cooktop. There are many different flooring options for outdoor kitchens including natural stone, river rock, flagstones, cobblestones, paver stones, pavers, or naturally jagged shaped stones. 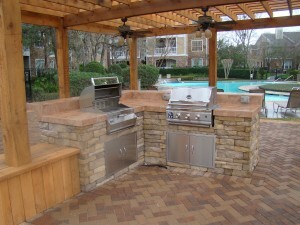 Outdoor kitchens can be incorporated into outdoor patios, decks, pool decks, gazebos, and backyards. Pavers Driveways VA offers various flagstone options including Pennsylvania Flagstone, travertine, Pennsylvania bluestone, Vermont slate, reclaimed granite, limestone, slate, quartz, Tennessee limestone, and sandstone. Brick and interlocking pavers of various shapes and sizes are available. And finally stamped concrete floor options can create essentially the look of any stone with the added durability and longevity of concrete. There are many other outdoor living landscaping ideas and outdoor living landscaping designs that can be added to further enhance your outdoor kitchen area. Some of these outdoor landscaping and outdoor design ideas include landscaping, outdoor lighting, outdoor coverings, pools, pook decks, outdoor fire places, and outdoor fire pits in Fairfax County, Loudoun County, Great Falls, Tyson’s Corner, Chantilly, McLean, Mclearen, and Oakton. We select quality flagstone, brick, concrete, and pavers for all our clients. Please feel free to contact us for a free consultation.